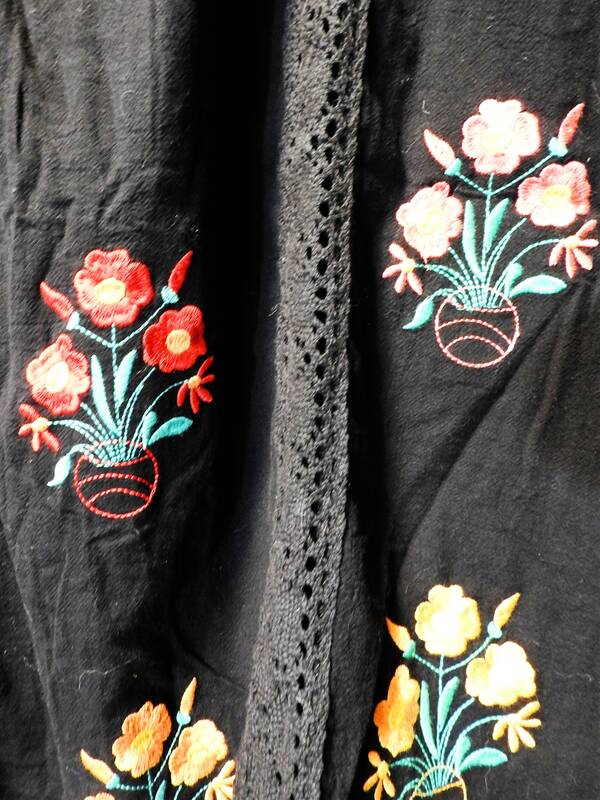 Take a moment and check out this adorable black boho embroidered dress folk style. 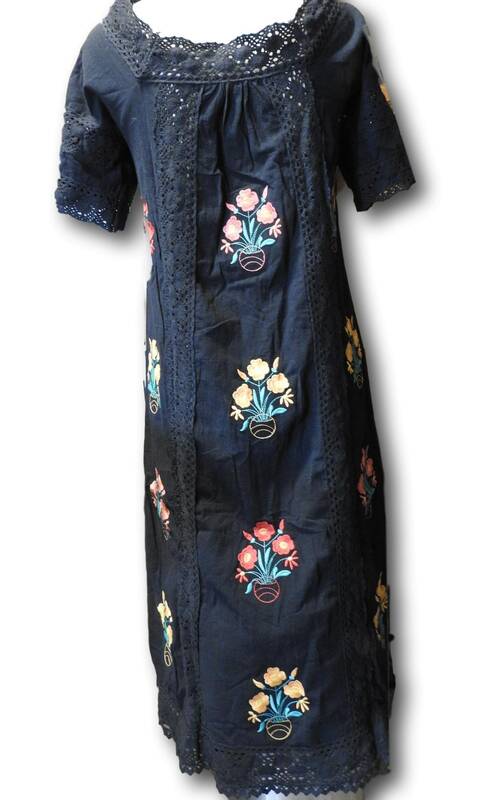 Wear this cute hipster dress effortlessly in warm weather with sandals or flip flop! 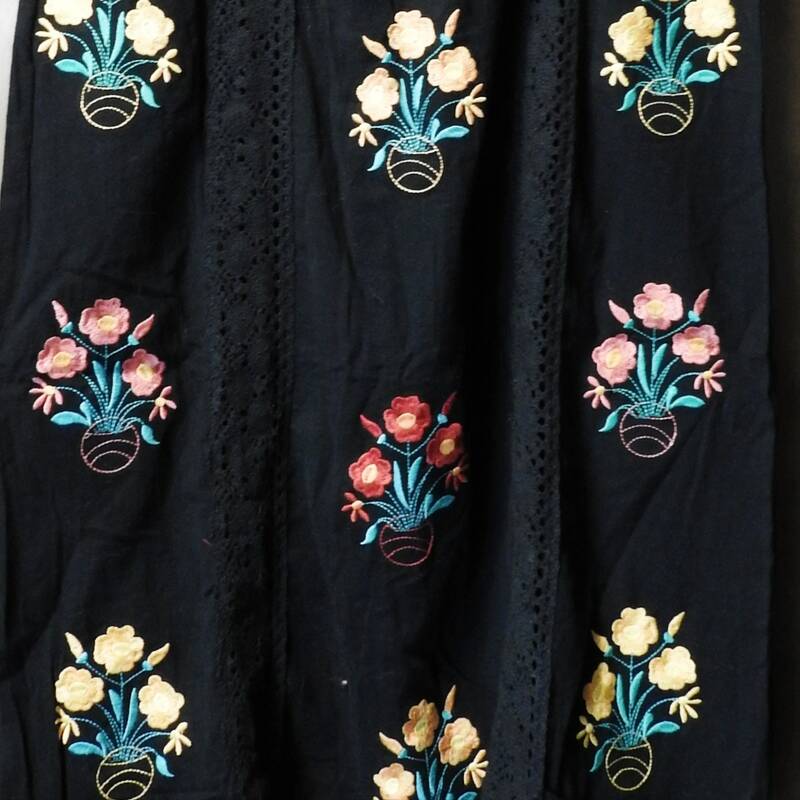 This listing is for ONE black dress. 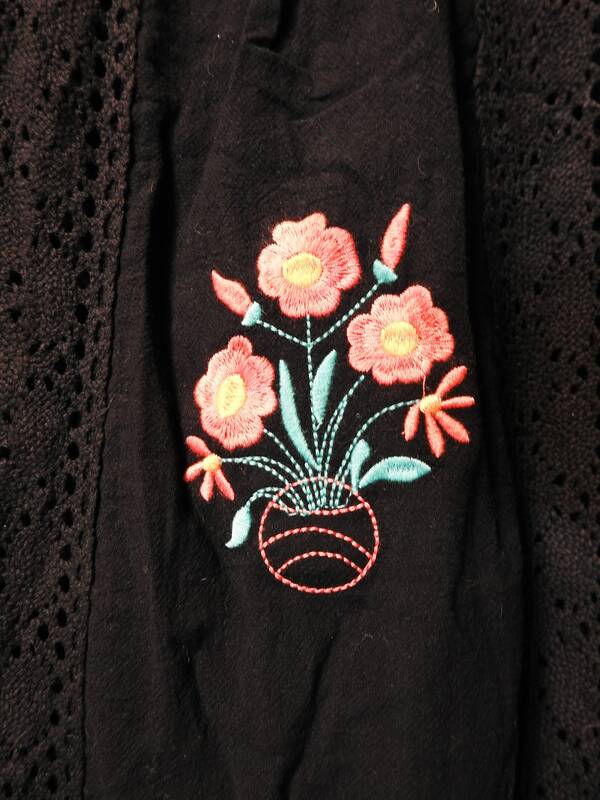 ● Black cotton dress with red, orange & green embroidery. 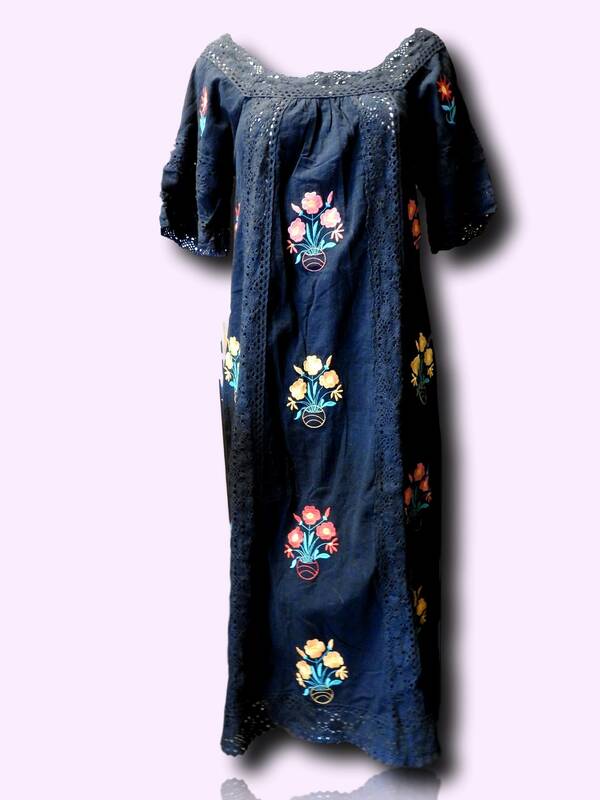 ● Floral embroidery on both sides of the dress. 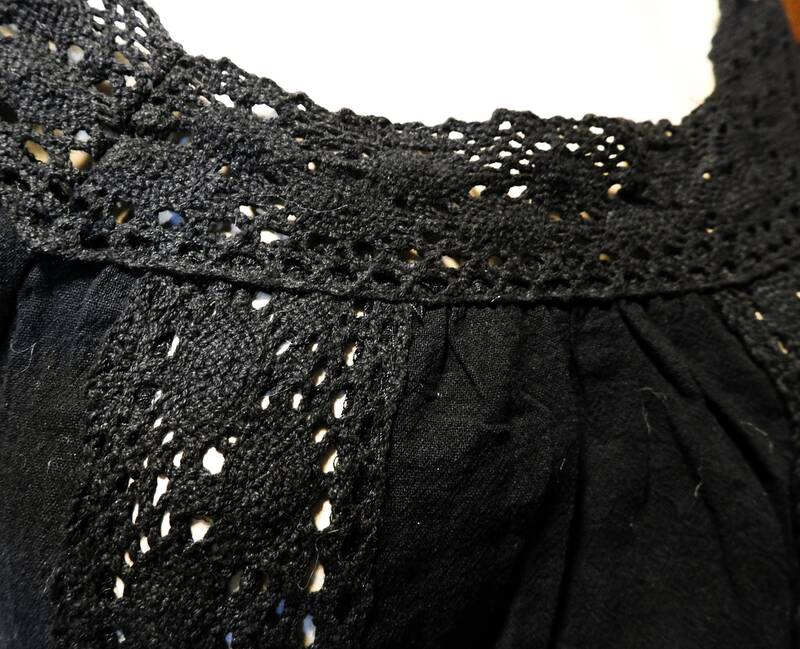 ● Made in China, embellished in Canada with vintage style lace. 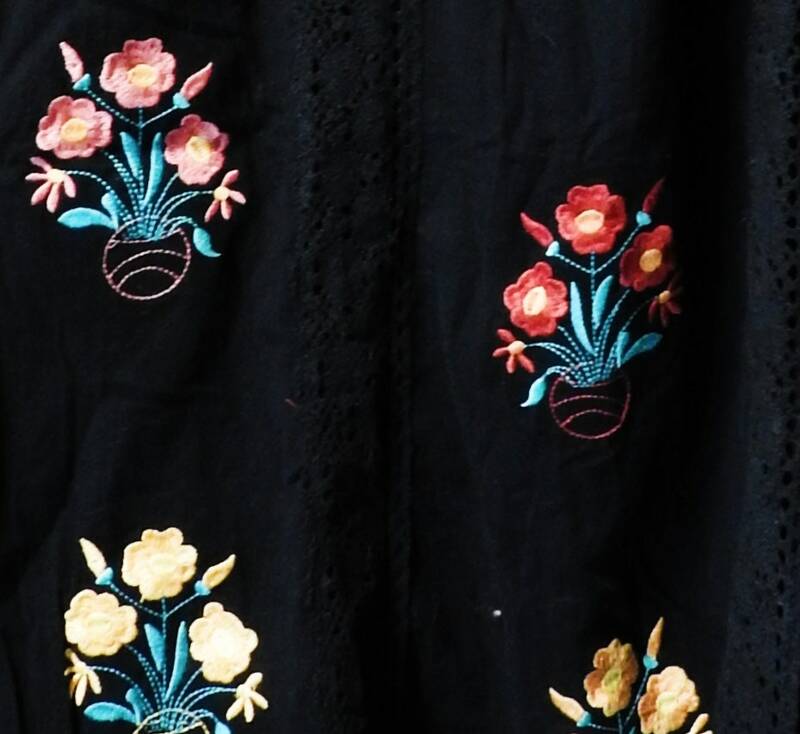 ● Fashion style Mexican style, peasant, beach, hipster. 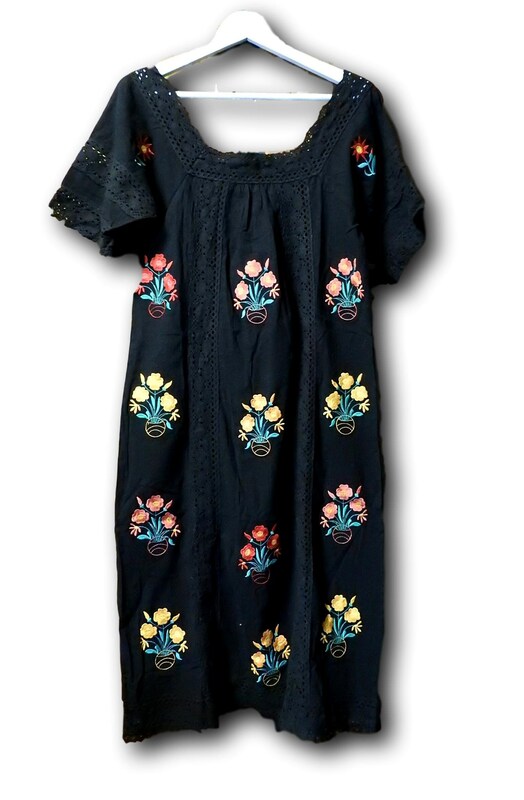 Thank you for exploring this charming free spirit floral dress!